Tired of all my Venice photos? Good – neither am I! They can go their own way and create something wonderful. Leads to new wonders and perspectives. A philosophy that makes life more beautiful. Posted in life, TravelTagged beauty, Burano, canals, decay, doors, go your own way, love, love handles, Our World, VeniceBookmark the permalink. These are all fabulous shots. Some of the same colors I see in you sky shots…. Both these photos and what you’ve learned from Venice are beautiful and so inspiring. I love the distressed and rawness to the architecture that you captured because you can really feel the rich history. You are SO right about that. 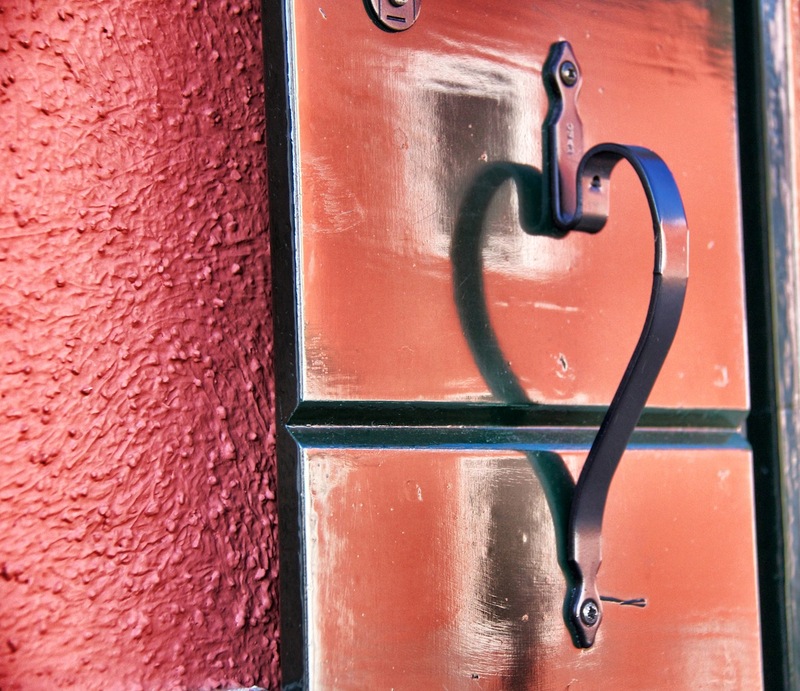 Also, the photograph of the door handle reflecting a heart is brilliant. Great eye you have! Thanks so much for sharing and have a terrific Monday! Love all the color there. What a great place it must be. Love that quote and the photos, never tired of any of your peaceful zen photos! Imagine stepping our of your back door into a boat!!!!! Venice has to be an interesting place for sure… Love the ‘heart’ using reflections from the handle…. I so enjoy the off-the-beaten path photos, it shows the true spirit of the town. Tired?!! of travel, seeing wonders?…neh…nope…not me!! I have the most confortable chair in front of “the magical eye” through I can see your lovely visions captured there… trust me!! A good week, just like always! Italians have an intrinsic sense of beauty and style. I love their door handles/knobs. We saw one in the shape of a woman’s hand in Positano. Venice, the same. beautiful images. love all your Venice images. I love the top shot … it feels as if I could step right into that scene. The watery narrow passageways, ornate touches and exposed brick buildings have a special enchantment only Venice can bring. Oh, I love all of these — as always!! They’re the next best thing to being there myself!! And thank you, as always, Fiona!! Hope you have a wonderful new week!!! Enjoy! I love your pictures of Venice. Watching new beautiful places is a real pleasure That is not boring ! Next to Paris I think that Venice is my favorite city…There was a time in my life I lived in an apartment off a Venice alley similar to that in your first photo, it is the kind of memory that lasts forever; you did an amazing job of capturing that feeling. Oh, I’d love to live in Venice! You use colours immensely well – nice structures! Yes, just wonderful photo delicateness that forms a heart with the reflection, I really like your pictures of Venice !! Nothing in the world like Venice. It is a city in which your skin absorbs all the beauty. You never tire of walking looking for the lost corners. Your pictures help us understand that city. I know back there someday. Beautiful, I’ll never get tired of it. The photos are all stunning but the door handle heart captured mine! Spectacular!! You put your camera and skills to good use in Venice. One day I shall return! Hi! Nice captures. Not bored at all. I like I like your writing too. Thanks for sharing. I can never get over those buildings standing in water. So beautiful and what an amazing place. Thank you for sharing, Fi. Great photos of a very beautiful city. Fiona, I know that there are 100’s of books on Venice with photos, but these surpass EVERYTHING I have ever seen!! Breathtaking. Wonderful shots and I love the colors of the buildings. Wonderful treasures …. from the grand and glorious to the small hidden secrets! That long view of the canal is just wonderful, Fi – the crumbling beauty of those buildings. I knew you would take me there with your photos. Beautiful city with unforgettable places! So amazing ~ your photos are just amazing. Thank you for taking us with you on this journey. Wonderful and unique shots from Venice. I’ll never get tired of your Venice photos. If you have more, bring them on!! What amazingly brightly coloiured buildings! I like the stonework and the lighting in that water shot. I love these photographs. Makes me want to travel and discover! I am not sure I will ever get to see Venice but you have taken me there with these fantastic photos. Thank you so much! The water glimmers. How romantic! I love what the reflection of the handle shows! The crumbling decay of Venice is so much a part of it’s allure! There is really no place on earth just like it, with its mystery and unique history. I could never tire of seeing photos of it, Fiona. It is my favorite place on earth! Stunning images of the most wonderful city in the world and so amazing that despite the amount of tourists one is still be able to find this unique corners. Wonderful. strange to see Venice without people. How did you manage that? I took these shots well away from the tourist spots. We stayed out in Cannaregio, where the Venetians themselves live. 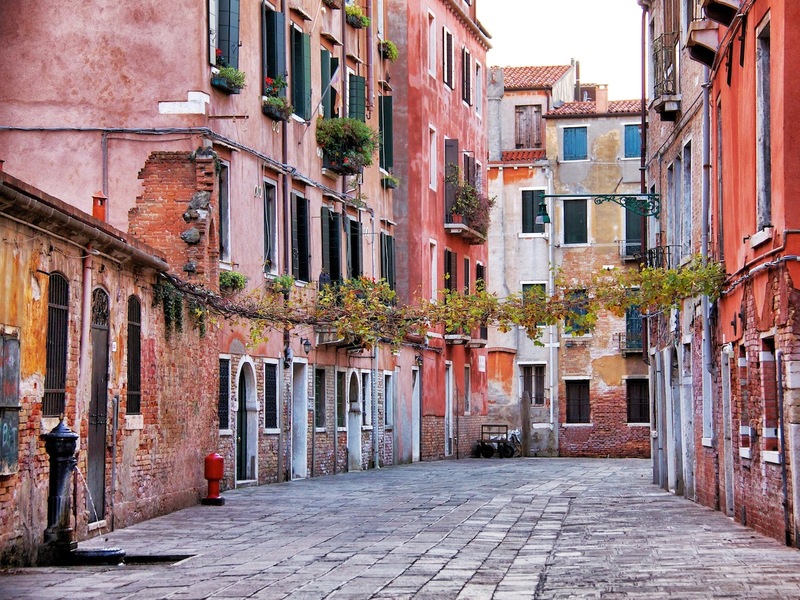 Love your images of Venice. The colours are amazing. Gorgeous photography! I love the colors of Venice. The colours, reflections and light are like nowhere else. You truly captured the beauty of Venice! Gorgeous photos. Thanks for sharing with us. Simply beautiful. Love the shots! The best and most romantic places you find outside the tourist zone ! Wonderful photography of Venice ~ just beautiful! Thats colorful and a wonderful atmosphere, beautiful shots. A series to show pride. You really late here beautiful images and see the many details are wonderful to see. I see why it is that our daughter is in love with Italy. I would like to crawl inside those amazing photos! such a beautiful post! a colorful world taken in by your heart. words that are inspiring, thank you. Beautiful photos and great lessons. This is the only way I am going to see it, so keep them coming…..they are gorgeous. LOVED this first one!! Sigh. You have me wanting to go to Venice to see all the colors, textures, and lightings that you’ve captured in your photos. You are so right about giving people time and space for them to develop into who they should be. Thank you for this beautiful look into Venice. Your second image with the light coming down the canal is just wonderful – such light, such calm, such feeling. Beautiful. So much beauty! So much wisdom! Thank you for sharing both – my day is better because of it. Looks like there were so many great photo opportunities. So many beautiful scenes and details! I was half contemplating a too expensive excursion to Scotland, but think perhaps I should visit Venice instead. Your photos just take my breath away. I’ll never get weary of them. 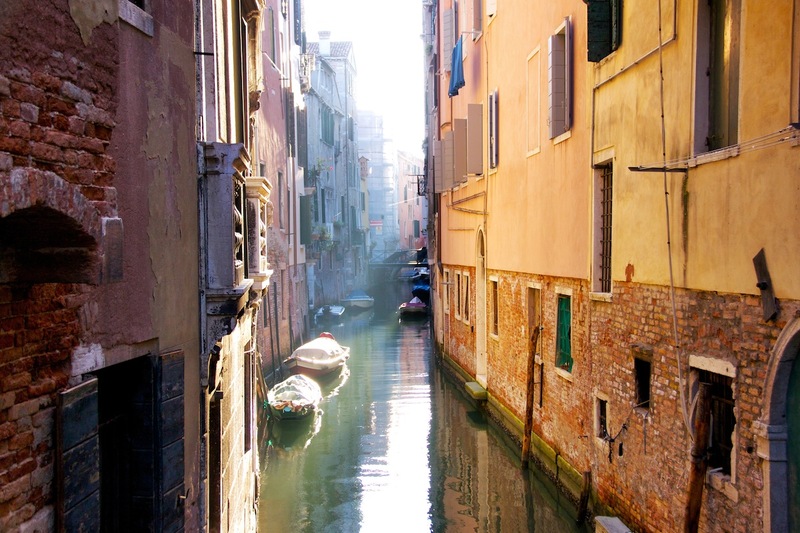 Thank you for sharing these beautiful shots of Venice…one place I know I will never see, but in photographs. Have a great day! Hello MDF, Your power of Photography is so amazing and wonderful. Nope, keep bringing the pics on. I love the door handle pic. Great eye to see what you saw. What incredible images!!! I love the light in the second one!!! Such character and color! I heart Venice too, like photo #3. 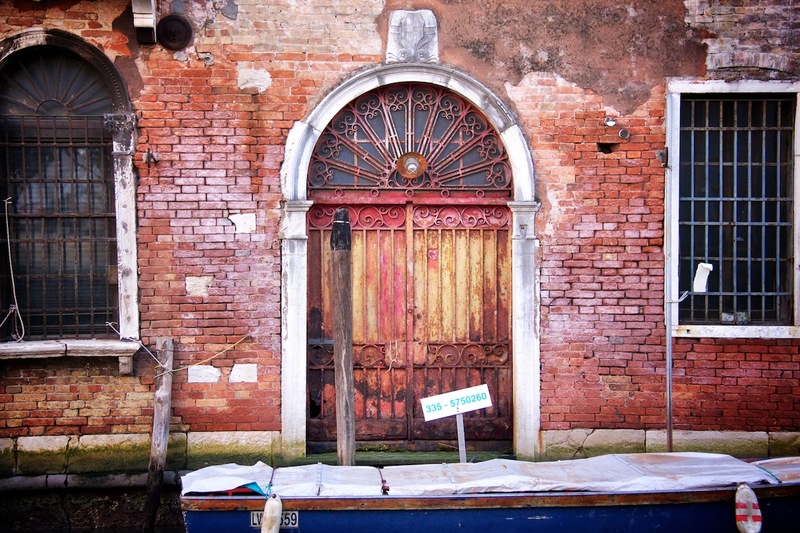 Off the beaten track Venice is my favourite and these gorgeous shots surely show why! Wow.. such stunning, moody images. How I love the colours in the first.. the mood in the second and the heart of the third. Beautiful. I could never tire of your Venice photos. The setting is gorgeous, no doubt…but the way you compose your shots make it look so very beautiful. Does that make sense? Your shots are simply stunning. This post made the beautiful Venice look more attractive with your fabulous photos and findings. I learn something new from you constantly. As always, beautiful images Fiona. You have a wonderful sense of color and light, whether it is pictures of lakeside or empty streets. Tired? No way! I love Venice!One of the best place to take a great photos! Your poetic captions always add such depth to already splendid photos. Wonderful!!! Excellent framing this beautiful city which I do not get enough!